"Here it is one of the largest ponds in Leon county with amazing acreage room to build your dream home and ranch or raising cattle. 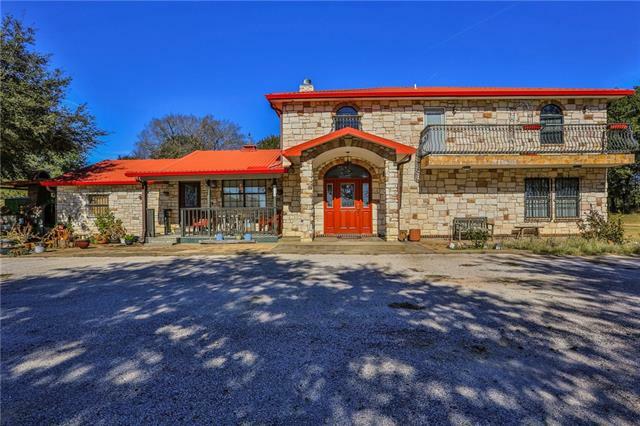 Just minutes away from the interstate but private and rural with the hacienda style home with soaring ceilings, formal dining, 3 master suites have an on suite bathroom, guest rooms share a bath, bath off the kitchen area, powder room off the living room. Living room has a wood burning fireplace with stone from floor to ceiling, tile floor throughout. Outdoor grill a"